Weight management is something that a lot of people are struggling with. While the gym and a professional trainer are important, most people live demanding lives. The ultimate and best option for training is, therefore, a home gym. Any fitness enthusiast knows the importance of training regardless of how busy they are. This article comprehensively outlines the benefits of owning home gym equipment and some of the best types of equipment. There are various factors which push people to purchase home gym equipment. These machines have proved to be effective in helping people to reach their weight loss goals. They help to burn calories and tone the body. So, why should you have gym equipment in your home? Below are some of the benefits. People usually waste a lot of time going to the local gym. As much as you can walk or drive there, the process of going to the reception area and also changing consumes time. Additionally, you might find that the gym is full hence you have to wait for other users to get off the machines. There are also a lot of distractors that can lead to time wastage i.e. people moving in and out etc. however, a home gym saves time. The machine is yours to use and you don’t have to make traveling plans after getting home. The only time that a home gym equipment becomes expensive is buying it. Once you’ve made the purchases, it’s yours and you won’t incur any charges. Note that most gym memberships are very expensive. Users are usually required to pay for the monthly or annual fee. This is not normally less than $50.00 per month. There are also some days where you don’t feel like going to the gym hence your fee is wasted. The best thing about buying an equipment for your home is that some of them come with a lifetime warranty. There is no privacy in most local gyms. You are also likely to find more than one gym member at any certain time. This becomes very difficult for most people struggling with weight and low self-esteem. Working out from a home gym means that you don’t need to worry about your privacy anymore. You are free to work out without getting embraced by strangers grimacing or grinning at you. Most gyms come with user restrictions. You don’t have much control of the environment around you because of different user preferences. In your home gym, you have all the control. You can decide to play loud music on blast, watch TV as your workout, scream and shout without restrictions. Note that the availability of control allows you to have a satisfying makeup. The end is that you will have better weight loss results. Most local gyms don’t have personal user control. In fact, if you want to play music, use a headphone. If you are thinking about purchasing a gym equipment for your home, this isn’t an easy task. There are hundreds of brands with millions of machines on the market. This means that a lot of people usually find it hard to decide on which equipment is best for them. If you are looking for a home gym equipment, below are some of the factors that you should consider. Consider the amount of gym space that you have a home. Is it a large spacious room or a tiny crammed space? Note that large equipment need bigger spaces while small equipment like bells and balls can fit almost anywhere. According to research, a huge percent of gym space is usually allocated to cardio and strength training equipment e.g. 60 percent while the remaining space can be used to store attires, beverages, food etc. Do you want an equipment that will promote your overall health? Equipment that can support weight loss? A well-toned body? Depending on your reasons to purchase the equipment, choose something that will help you to attain your goals. Note that an effective workout plan needs a mix of three types of exercises. Overall, you need to choose an equipment that promotes effective workout sessions. The machines should also help you to safely bulk up and or to lose weight without any injuries. The machine should be able to be used for more than one activity. A versatile machine offers value for money. Besides that, you’ll end up saving on space because one equipment can be used for a variety of workout programs. Although seems like an “out of the list” requirement, equipment that are made with rubber or plastic usually have a bad odor when they are still new. Besides that, ensure that the device you purchase has been made with high-quality, long-lasting materials and its seats are comfortable and spacious. If it’s an equipment with handlers, it shouldn’t be slippery and be able to provide a firm grip. This makes the workout more fun and enjoyable. If you are buying a home gym equipment, ensure that you don’t invest in equipment that is only durable for a short period of time. Note that gym equipment are very expensive hence you should ensure that the device you purchase has durable materials that will give you value for your money. The best type of material include titanium, layered steel in case of large machines, odorless rubber – capping, cast iron, and anodized aluminum. The T6.5 S treadmill features a folding frame and uses the SpaceSaver patented design. This gym equipment has been designed with an EasyLift – Assist Technology. It contains a 2.6 –CHP drive system and it supports a maximum of 300 lbs. It has a 20-inch x 55-inch tread belt that’s fitted with a cushioning that can be turned on and off per the preferences of the user. This treadmill has 20 types of inbuilt workouts and you can easily adjust the level of incline up to ten percent. This allows user to change the workout intensity especially if you are targeting specific groups of muscles. There is a sound system that plays MP3 music and it’s compatible with iPods. Its consoles have control which use the one-touch keys. 310’s Yoga Mat is a non-slip and eco-friendly equipment that helps to find and stabilize your body balance. It’s lengthy and spacious enough to accommodate people of different sizes. This firm and comfortable yoga mat have cushioning which helps to protect the knees and the elbows. Not only is it good for yoga but this mat is also suitable for Pilates as well as other exercises that require mats. The mat has an anti-microbial and liquid-absorbent feature hence you don’t need to clutter your workout space with a towel. It provides a hygienic workout experience that’s suitable even for those who sweat extremely. 310 Yoga Mat requires very little maintenance. All you need to do is to wipe it using a warm washcloth. This E614 elliptical trainer is described as a goal-oriented gym equipment. It features a goal-tracking system which is designed to help users reach their weight loss goals.E614 features 22 programs which include a quick start, two types of fitness tests and two custom. Additionally, it has eight programs which are heart-rate controlled and nine profiles. This elliptical trainer features 20 types of resistance and it’s a perfect indoor or outdoor gym equipment. The multiple types of intensity options are perfect for burning calories. E614 Elliptical trainer is the perfect device for those who want to burn a specified number of calories within a certain period. It’s a high-speed equipment whose flywheel is perimeter-weighed. E614 allows for a smooth workouts that are easy to manage. It has in-console speakers along with an MP3-Input pot, LCD DualTrack displays, adjustable fan, USB charging, and a media shelf. A wide range of workout programs. These push-up bars provide users with a sturdy pair of ergonomic and reliable gym equipment. This pair of push-up handles helps users to achieve their weight goals by facilitating the burning of calories. It perfectly tones the midsection without leaving a fat behind. CAP Barbell’s push-up bars target the back muscles, shoulders, and chest. These handles from CAP Barbell feature an anti-slip rubber that provides a steady grip regardless of the surface you put them on. The rubber provides perfect grip on both hardwood and carpeted floors. Additionally, the handles are foam-padded to prevent your hands from sliding. Furthermore, the push-up bars have metal handles with cushioned form which provides an extra level of comfort during workouts. Their design promotes good posture. 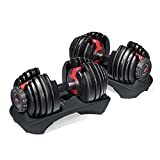 This adjustable dumbbells from Bowflex are currently the top commercial gym equipment on the market. Their popularity with users arises from their unique and versatile design. 552 is are adjustable dumbbells that have a multiple weight range. Apart from its attractive design, the dumbbells have a dial-a-weight system. You can easily adjust their weight from 5 pounds up to 52.5 pounds. It allows you to combine fifteen sets of different weights to a single unit using the unique dial system. With 552, you don’t need numerous dumbbells and it helps to eliminate clutter. 310’s Jump Rose is designed for those individuals who want to quickly burn calories. It’s the perfect home gym equipment that features sturdy and comfortable handles that are cushioned. The jump rope has a lightweight design for ease of use and you can swing it for a long period of time without getting tired. This jump is the perfect gym equipment for cardio lovers. It works out every muscle in the body and it’s suitable for all types of users. Not suitable for a tiny crammed space. 270’s recumbent bike is currently Schwinn’s the best gym equipment for sale under the reclined bike category. The recumbent bike features more than 20 types of preset workout programs which include heart-rate controlled workouts, fitness tests, and many others. It has twenty-five categories of resistance with varying levels of workout intensity. 270 Recumbent uses the standard electric outlet along with a Bluetooth connectivity option. 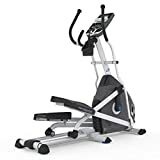 Its versatility in terms of resistance range, adjustability, as well as the user console has made this gym equipment the perfect workout partner. It has an LCD DualTrack displays, inbuilt speakers, adjustable fan, USB port and a media shelf. The bike has a 17 lb. flywheel and it’s perfect for toning your lower body. It’s easy to access the bike thanks to its walk-through feature. Multiple user profiles for different users. If you are looking for an equipment to help you change your workout routine, then it’s the 310 Gym Ball. This ball is designed with a hand pump which provides a smooth workout experience. It’s designed with a high-quality material along with a non-slip surface. It’s available in different weights as well as diameter sizes. The 310 gym ball is easy to pump and it inflates very quickly. 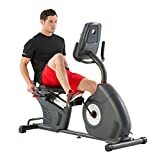 This is one of the best home gym equipment for indoor cycling. The fitness bike is affordable but a durable and excellent trainer. It supports a variety of invigorating exercises. It doesn’t matter if your goal is to prepare for an outdoor riding session, strength training, or weight loss, this bike is everything that you need in a home gym equipment. Apart from its flywheel that measures 40 pounds, it’s designed with a performance monitor that you can use to check your workout progress, this bike has an adjustable seat that provides users with stability and comfort. Sunny Health and Fitness –Indoor Cycle has an accommodating seating. It’s designed with the comfort of the user in mind. Its saddle can be easily adjusted both horizontally and vertically. Besides that, you can easily remove or add resistance by adjusting the knob. This gym equipment tracks distance, speed, time, and also the number of calories that you have burned. It can support up to 275 lbs. It doesn’t have a console making activity tracking difficult. This ten-pound ball is suitable for all types of lower and upper body exercises. It’s one of the best home workout equipment that’s ideal for body coordination, balance, as well as core strength. 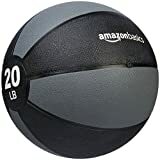 Amazon’s Basics Medicine Ball helps to improve the wrist and forearm strength. It external construction is made of a sturdy rubber which can easily bounce off surfaces that are hard. For a better and superior growth, the medicine ball has a textured finish. Great textured finish for an easy and secure grip. Gym equipment have become vital machines for anyone who is keen about their health. Although the market is filled with millions of products, the above-mentioned machines stand out because of their effectiveness, cost, functionality, and appearance. All you have to do is to choose something that matches with your wellness or weight loss goals.